In the late 60’s, Reflexite Corporation invented the first prismatic reflective film. 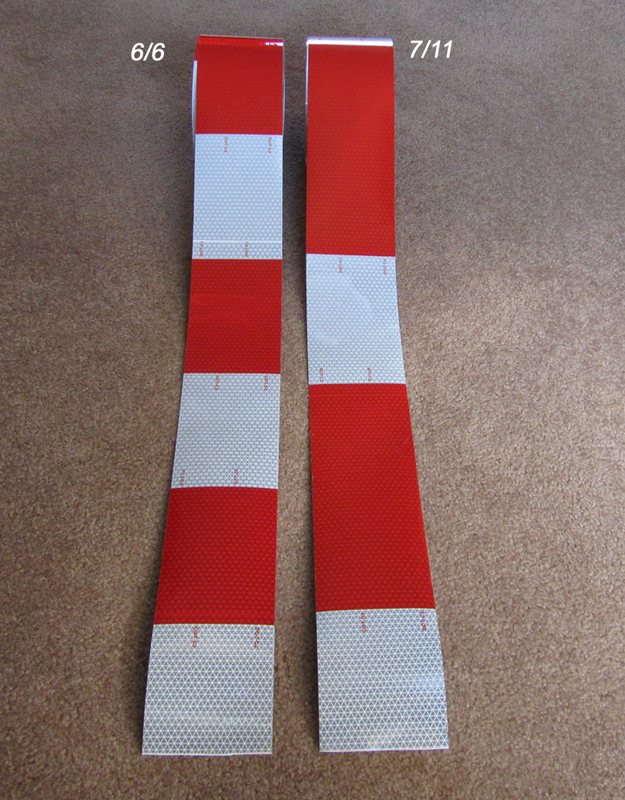 This technology has become the standard for all bright reflective tapes. One of the most common prismatic tapes is called DOT tape. This tape is required to be on tractor trailers with a GVWR of over 10,000 pounds. The minimum acceptable width for trucks is 2″ thus the designation DOT-C2. 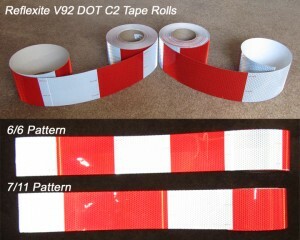 Many people do not know that the DOT also recognizes C3 and C4 tape under the same regulation. The 3″ and 4″ C3 and C4 tapes are excellent for applications where more visibility is needed. For example, a large mining truck would dwarf a 2″ tape. Therefore it would be reasonable to use a 3″ or 4″ tape on this type of large vehicle. In addition, large containers that really need to be seen can benefit from the 50% or 100% extra visibility provided by the wider tapes. We carry the wider DOT tapes for these types of applications. We carry both 30 and 150 foot rolls. We have these on two of our online stores. One is www.colebrothers.com and the other is www.safety-tapes.com . Both sites are owned and operated by our company Reflective Inc. We have been in the reflective tape business since 1998.